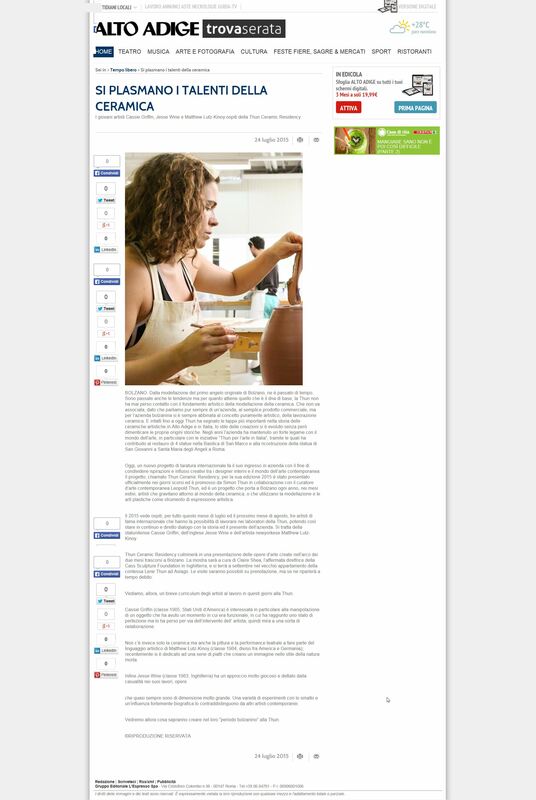 Thank you Artsy for nominating us as one of the world’s 11 most inspiring design residencies. Read about the 2017 exhibition and a short interview with Leo here. You can read more about Beckett and ceramics here. 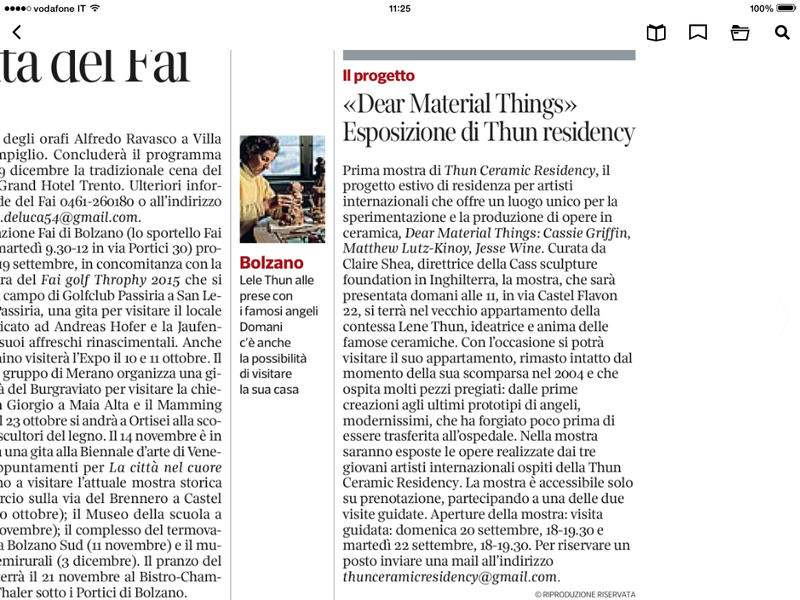 Silvia wrote an article about the inspiration of our residents for the Corriere del Trentino! Read about it here. Lucia from the Corriere del Trentino came to visit us and had a long chat about this year’s residency. Find the featured article here. Video 33 / SdF came to visit us again this year. Watch the feature video here. The Südtiroler Wirtschaftszeitung talks to the CEO of Thun, Paolo Denti, about the support he gave towards the residency. 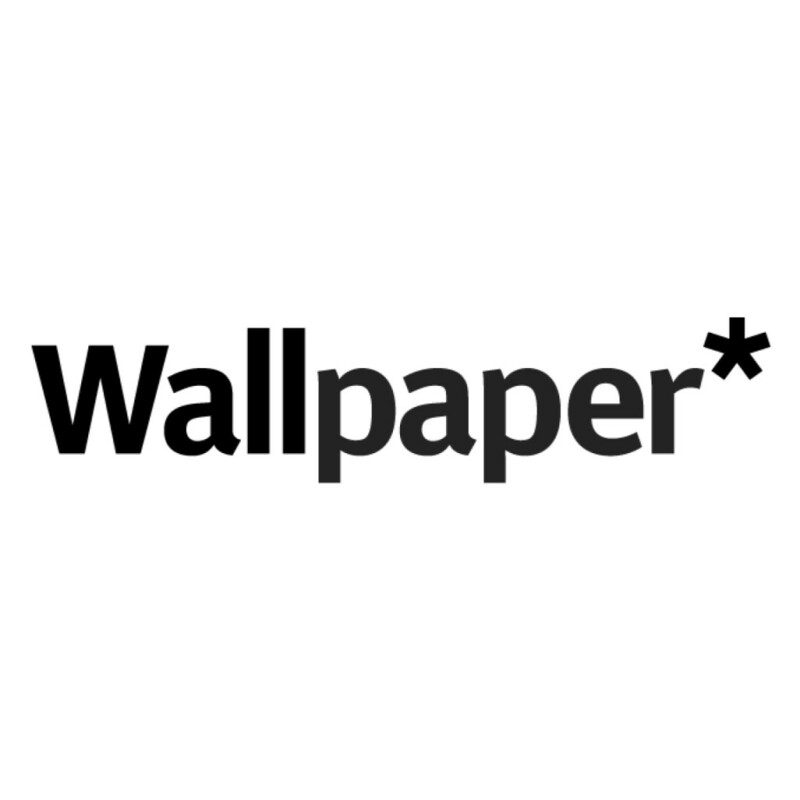 A massive thank you to Wallpaper for featuring our residency in their Online Art section! 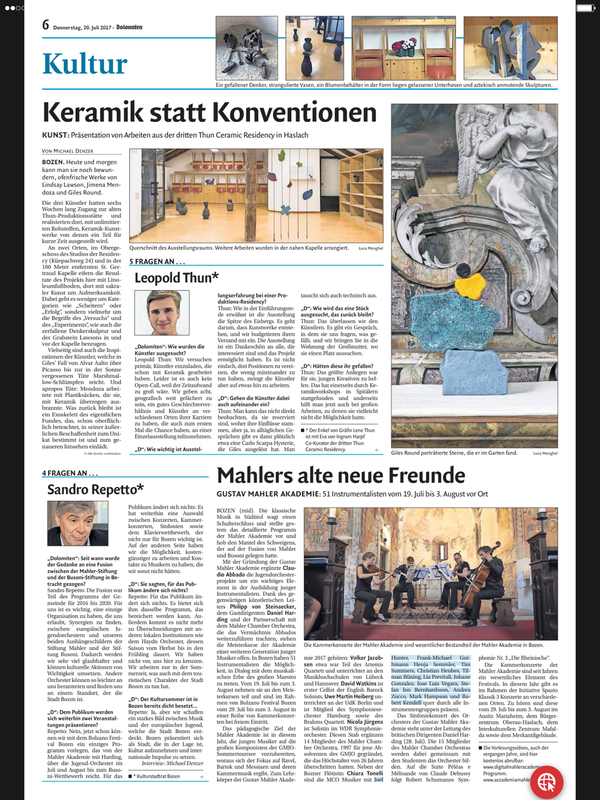 Many thanks to the Alto Adige for this extensive article on our first exhibition. Watch the feature of Video 33 / SdF on the opening of “Dear Material Things” here. Thank you Alto Adige for featuring us in their Culture Section. Many thanks to Video 33 / SdF who shot this little reportage on one of the first days of the residency. Click here for German and here for Italian.